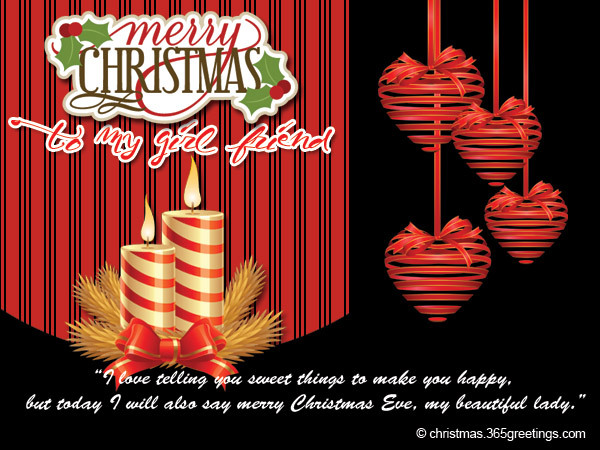 Christmas is fast approaching and its high time you decide how to proceed with the Christmas decoration part. For most homes, Christmas decorations also mean decorating the Christmas tree , the indoors; deciding the christmas dinner menu and many more things that go in to make a Christmas complete. 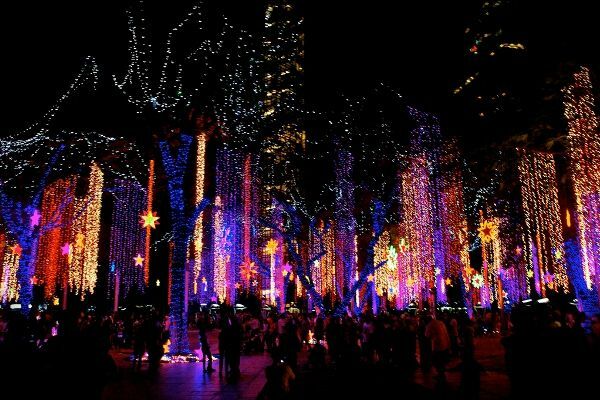 Today we’re here to give you some inspiration on how you cna plan , using LEd outdoor christmas decoration . For a large area like a large front yard or for places like community parks, larger neighbourhoods, this decoration looks great . For this decoration you will need very little effort. Just gather different LEd lights and attach them on a pole. Use multiple colors and strands and place the pole and spread the lights to give the shape of a christmas tree. 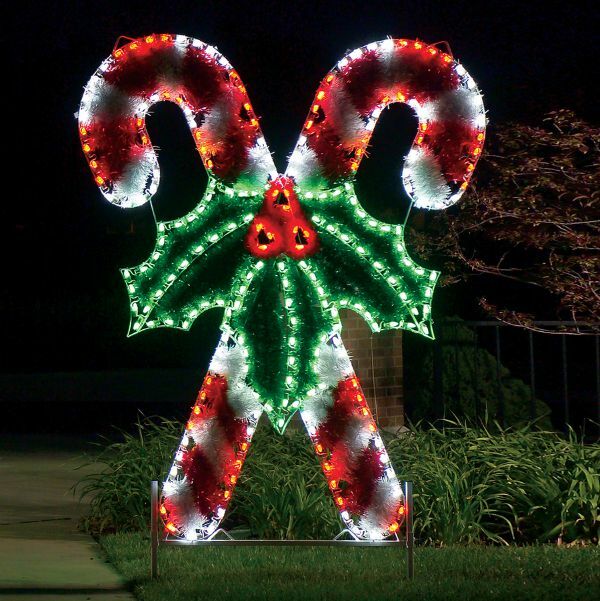 How about a giant LED candy cane? This unique decoration can be a real treat for the eyes. To make this decoration, use colorful LED lights to make the candy cane shape. Use green LED lights to make the leaf shape. How about something different for the Front door this year ? Use a LED Christmas wreath to illuminate the Front door and welcome the guests . 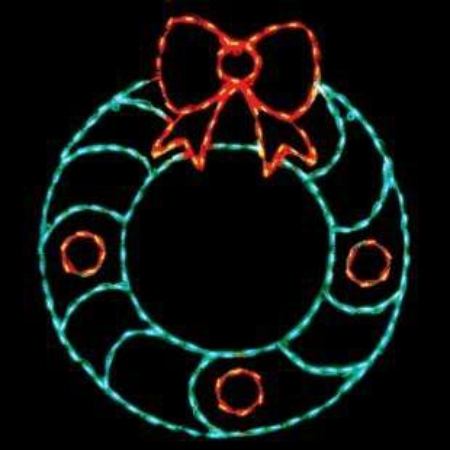 These LED door wreaths like the one above can be made at home or bought from the store too. 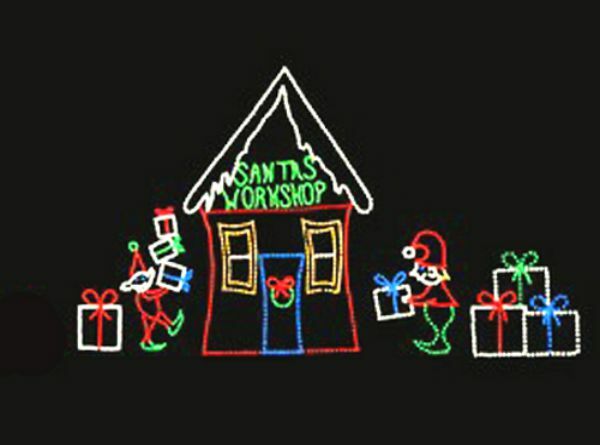 Create a fun Santa’s Workshop decoration with affordable LED decoration. USe inexpensive LED lights in different colors to make your own designs. Create Elves, Santa figure, santa’s workshop, gifts and other details with colorful LED lights. Decorate your home beautifully and inexpensively with LED lights . 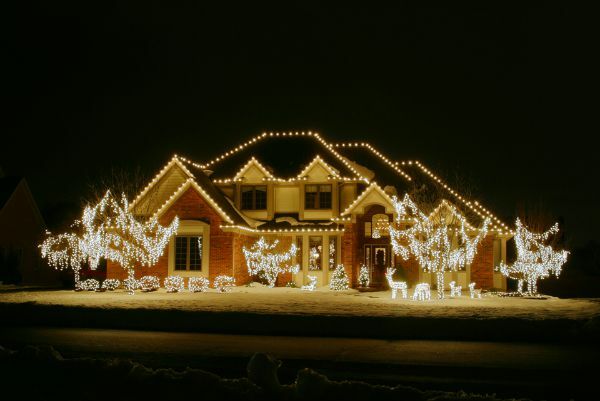 Use LED christmas lights to line the house and windowpane, and roof. Also add some LED decorations like Christmas trees, other illuminated trees, decorate small shrubs and other trees and create an illuminated christmas decoration at a very affordable price. Make a moving LED decoration for your home and give your visitors something to be amazed about. These decorations look great on Christmas occasions. 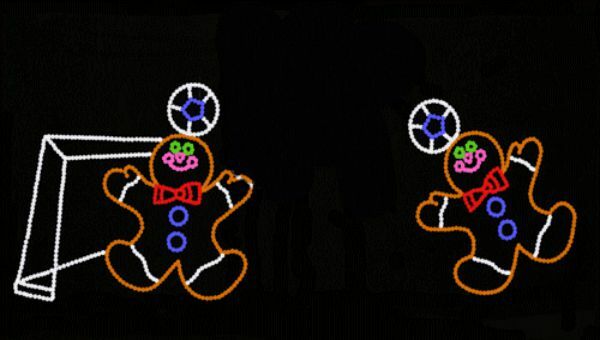 The whole setup will create the illusion of the gingerbread man playing with his football. Usually you will get these at special stores but it can be made at home too. These christmas presents set looks so attractive and i perfect way to add some attractive gift decoration below the christmas tree, or use these to decorate the porch, the main gate or even any room you wish. Add a large Snowman to your front yard or a large open space, this snowman is not the real snowman you make. Since it won’t melt you can keep this snowman at any place , like inside your room too. 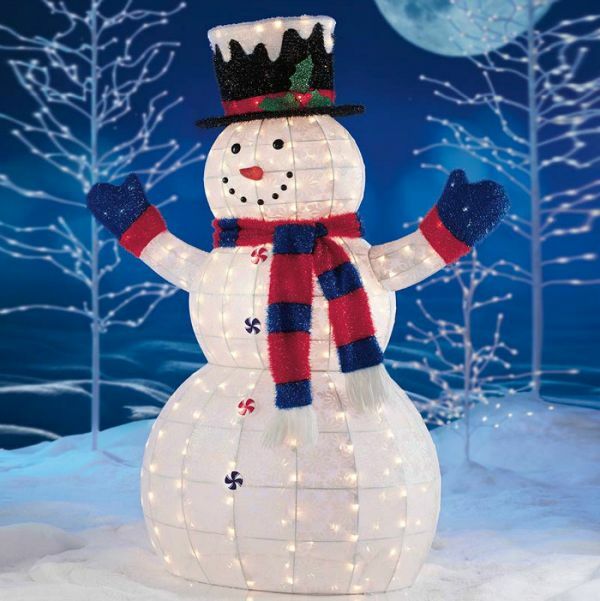 This large christmas decoration uses a wire frame and little christmas LED lights . Added accessories like hats, scarf, gloves add to the realistic look. A beautiful Polar Bear Decoration will surely bring a smile to your guests’ faces . 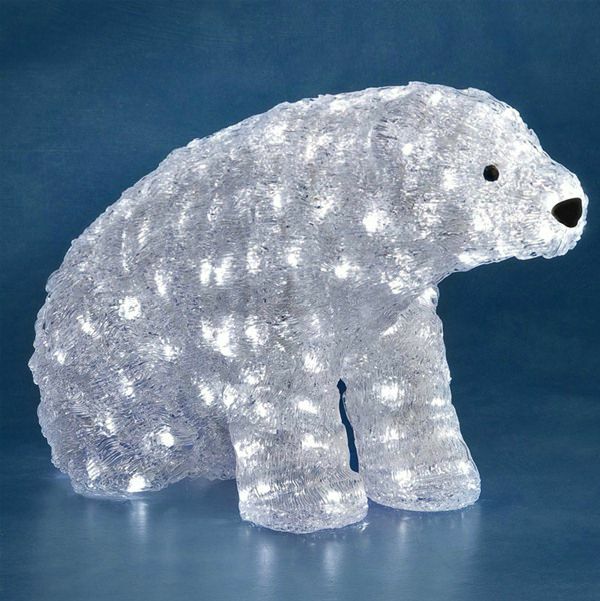 So get a large polar pear , illuminated with LED lights, this bear can be placed outside the house as well and can decorate your home in an inexpensive way. 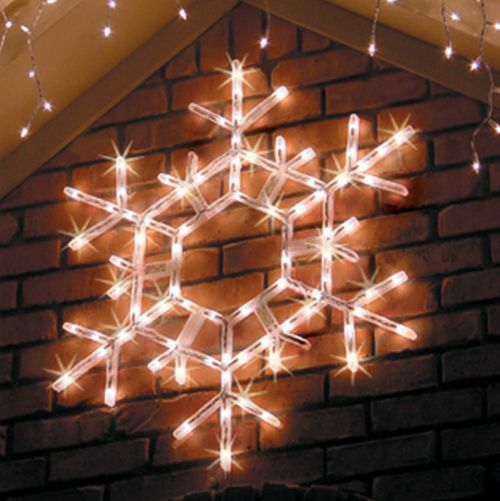 Use led lights to make different designs and shapes, like this cute snowflake LED decoration that’s beautifully made and looks lovely both indoors and outdoors . 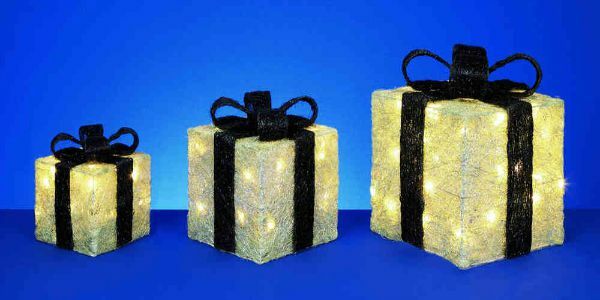 Use small LEd lights to make your own LEd christmas decorations. 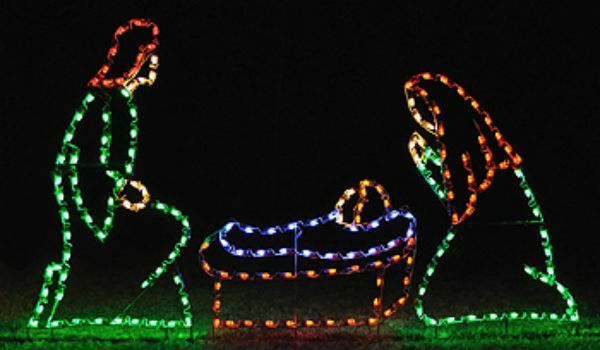 Here the birth of Christmas is shown in this LEd decoration. You can use ready-made decorations like these or make your own using LED lights, wire etc. You can use different colored led lights to make the silhouette even more prominent . 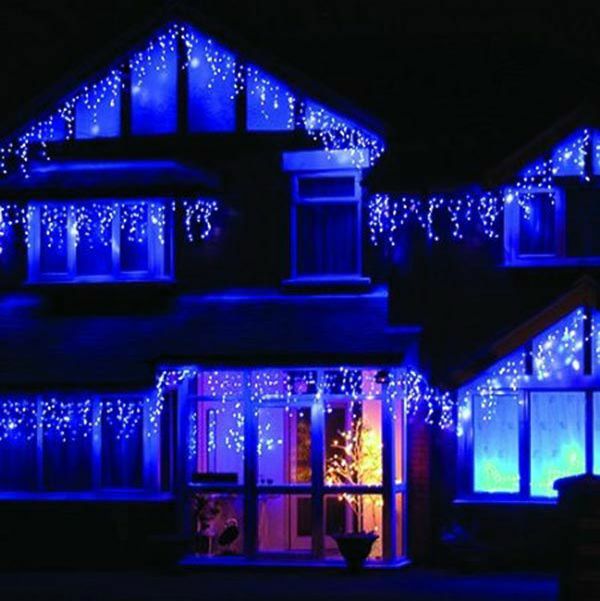 Fairytale Christmas decorations are quite common and here’s how you can create a ‘Cinderella’ inspired outdoor LED decoration. 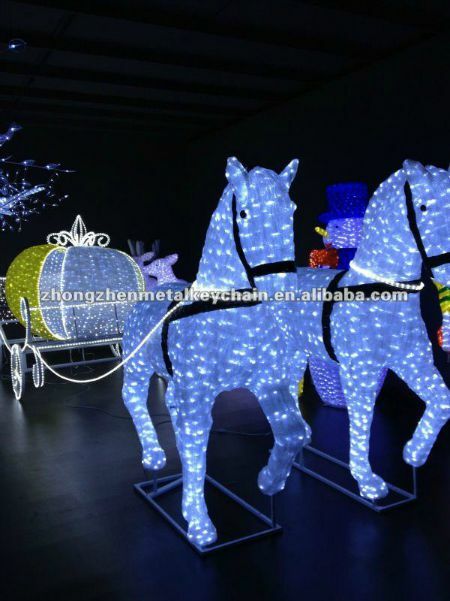 The LEd lights illuminate the semi transparent horse and carriage frames. These are great for a larger home and front yard. Decide a color theme for your outdoors decoration during christmas. Use small christmas lights to decorate along the roof . You can leave the other lights off to highlight the decoration. 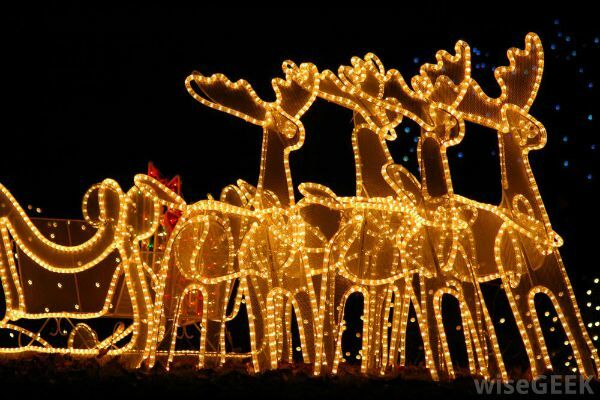 Give Your Front Porch or yard a Christmas makeover with some LED lights shaped to look like reindeer. These can be purchased easily from Christmas decorations shops . Or you can also make them yourself. This beautiful outdoor LED decoration is simple enough for anyone to achieve. 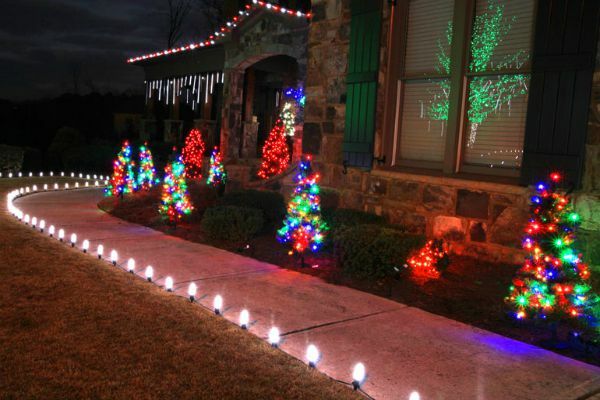 If you have a long front porch or path use christmas lights to illuminate the path from both sides and use colorful lights to decorate the shrubs, small trees and christmas tree miniatures. So now, that you have some great inspirations on how to use LED Outdoor Christmas decorations, do try these ideas this year and let us know.